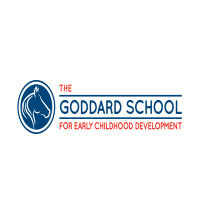 Goddard School is a franchised chain of early childhood education providers. A center that educates children from 6 weeks old to 6 years old, offering preschool programs for those age groups. They educate their children by play-based learning, in several areas of important skills to learn during childhood. For information on your Goddard School application, follow the link below. Founded in 1986 in Malvern, Pennsylvania by Anthony A. Martino, who was also the founder of AAMCO Transmissions and MAACO Auto Body Painting and Bodyworks, and he began to franchise it as “Goddard Early Education Center”. In 1993, the name was shortened to “Goddard School”. It is currently headquartered out of King of Prussia, Pennsylvania. There are currently around 400 school locations found across 35 of the Unites States. A creator of the F.L.E.X Learning Program, this program was designed with the understanding that children learn best when they are having fun. The curriculum focuses on building emotional, academic, social and physical skills through play-based learning. They also teach baby sign language, yoga, music, and sometimes even foreign languages. Children are important to Goddard Schools. Their learning in their classroom is just as important as their success outside the classroom. The Anthony A. Martino Memorial Scholarship is given yearly to a high school senior that attended their early education program when they were younger. They also donate to the Ronald McDonald House charities. There are opportunities with this company that can be found within both the school level and the corporate level. The school level offers opportunities that are not just for trained teachers. They have plenty of entry-level positions for people to move up the ranks of the company. Some school positions are teaching assistant, lead teacher, and kitchen assistant. The corporate level offers many different types of positions for people of all types of skills and talents. Most positions at the corporate level require a person to have a college degree, but some positions may allow for a person with a high school diploma or equivalent to gain employment. Such positions are marketing, legal, and human resources. The different positions at this company have different requirements for employment. Some positions require little experience and education, while others require a lot of training, education and experience. How old do you have to be to work at Goddard School? The minimum age to gain employment here is 18 years of age. Goddard School does offer competitive benefits for their industry. Employee eligibility for benefits can depend on hours worked weekly and job title. Some benefits include health insurance, dental and vision insurance as well as life insurance. They also may receive tuition reimbursement, paid time off, and free day care, as well as a 401(k) plan. The hours of operation can vary depending on location and holidays. Some holidays may cause full day closures. Other holidays may cause only half day closures. Check your local Goddard School for more information. Generally, hours are Monday through Friday from 6:00am to 6:30pm, while being closed on Saturday and Sunday. Lead Toddler Teacher- The lead toddler teacher will work with their co-lead to develop and implement lesson plans, and design them as well. They are responsible for the children in their care during the day, including while they nap, eat, and play. They should keep their classroom neat and organized. They will be in communication with their student’s parents regularly. A lead toddler teacher may earn around $11 per hour. Teaching Assistant- A teaching assistant will assist the lead teacher in cleaning and organizing the classroom. They will assist the teacher with their lesson plans, and work with the entire faculty. The teaching assistant may be responsible for taking over the classroom when the lead teacher is absent and must perform their roles in an adequate manner. A teaching assistant may earn around $10 per hour. Kitchen Assistant- A kitchen assistant is responsible for handling the food for the entire facility. They will ensure that the food is prepared and handled properly. They will heat up and serve lunch, as well as breakfast as needed. They will order inventory as needed while working within their budget. A kitchen assistant may earn around $9 per hour. Administrative Assistant- The administrative assistant is responsible for data entry, managing files and other clerical work for the school. They must be proficient in multitasking, as well as the ability to use programs like Excel and Word. They also manage the incoming phone calls and directing them as needed. An administrative assistant could earn around $33,000 a year. Why do you want to work at Goddard? The interviewer wants to know what you know about the company and the values that they stand for. This question may require some research prior to your interview. Explain which values you share with the company and why that makes you a good fit to work here. What is your teaching philosophy? The interviewer wants to understand what you know and how you feel about teaching. Explain what philosophy or type of teachings you closely believe in and why you feel children best benefit from it. Do you have any experience working with kids? Working here, you will be spending your day with mostly children. This company is looking for people who are comfortable working with children, and also people who have patience when it comes to them. Describe any previous experience you may have with children, including babysitting or raising your own. Why should we choose you over the other candidates? The interviewer wants you to sell yourself to them. Talk about your strengths and why you feel like the company would benefit from them. Try not to sound like you are bragging or arrogant when doing so. How would you handle a conflict between two students? Children will occasionally misbehave and fight with other children. The interviewer wants to know how you would handle this type of situation. Answer honestly, discussing how to handle this situation in an age appropriate manner. Wondering how to apply for a Goddard School job? You can apply for a Goddard School job on their website by searching for your local school, and following the link to apply there. You will have to search around for the link. There are no printable applications online. There are no downloadable applications. You may also fill out an application form at your local Goddard School. The website does not have job descriptions clearly stated for potential job seekers to find positions that are a good fit for them. You should only apply for positions that you qualify for. By not doing so, your application may not be considered. When you fill out your application form, fill it out completely and following instructions. You should submit your updated resume along with your application. After doing so, you should hear back within a reasonable amount of time. If not, you can call up the location to check the status of your application and see if they are still hiring for that position. They may also be able to provide you with additional information, like when interviews will be starting if they have not already begun. You should practice for your job interview beforehand. You can do this by asking yourself potential interview questions and answering them aloud. This can help you seem less nervous during your interview, as well as making you seem more confident and more articulate. You should remember to dress in a professional manner for the position. This can greatly increase your chances of getting the job. Sportclips: For employment at Sportclips visit the application page. Sun Tan City: For employment at Sun Tan City visit the application page. Varsity Tutors: See this page for jobs at Varsity Tutors. Petland: Petland offers opportunities for both, beginners and experienced roles. Postnet: See our resource page for more information on Postnet careers.